Summary: Virtual reality (VR) isn't associated with banking, but some banks are using it to turn intangible financial concepts into immersive virtual experiences. 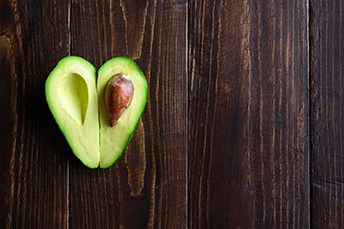 You may have heard that millennials like avocados. Well, they are taking it one step further by using their favorite fruit to propose. That's right - avocados are fruit and there are many instances where people have proposed using a ring in the middle of an avocado. Even #avocadoproposal is now a thing. This trend has even crossed the Atlantic as a British supermarket carries avocados with the stickers "perfect for proposals". What ever happened to using a simple ring box, we wonder? If creativity is the name of the game, could proposing eventually become virtual with limitless possibilities? Virtual reality (VR) isn't yet generally associated with banking, but even so, some banks have started using VR to turn intangible financial concepts into immersive virtual experiences. These experiences include imagery that fire both sides of the human brain. VR can help people manage finances, demonstrate digital consumer banking products, or create marketing buzz for the cutting-edge banks who use it. For an example, consider the concept of compound interest. It's a mighty engine. Even Einstein once called it the most powerful force in the universe. But, it's not something you can hold in your hand. For some people, the idea might be dry, dull, or difficult to grasp. Figure out a way to vividly show someone how a little bit of money today compounds into much more money later, though, and you are off to the races. Many large banks are trying out ways to model this and other financial concepts through VR. Though most are still in their infancy, the applications they pioneer may eventually be useful for community banks too so keep your eyes open. In June 2017, for instance, mega French bank BNP Paribas launched a VR platform that lets retail banking customers check account activity. They also launched a separate VR application that walks users through the experience of buying a home. Still another one gives virtual tours of real estate projects that are under construction, so participants can "see" how they will look when completed. Meanwhile, Australia's Commonwealth Bank is using VR to give users insight into the bank's culture and the projects it is working on. The bank invites customers to enter a virtual workspace and lead a team in developing a business banking app that eliminates the need for paper invoices. In so doing, the bank tracks customer behavior as participants deal with challenges and make decisions that have benefits and drawbacks. This VR opportunity provides immediate and impactful feedback from the customer on bank developments. In the US, GTE Financial has built a virtual world that lets a user's avatar explore 10 different bank products, open accounts, apply for loans, attend events, and exchange business cards with other user avatars. Citibank has used VR to create the "Backstage with Citi" program. It rewards card members with tickets to live VR concerts, complete with virtual backstage tours. By handing out VR headsets to customers who requested them, Citi was able to hold a live concert at Rockefeller Center that headset users experienced from home as though they were actually there. Looking toward the future, VR may one day take the place of physical bank branches. VR could let customers do all the things they currently do with the help of live tellers, particularly when a VR environment allows for live chat with avatars controlled by human bank employees. Someday, VR may let people manage their own, very real funds and that has excited bankers. Who knows, maybe some banker will even serve financial education with avocado toast. Dallas Fed President Kaplan said he supports 3 rate hikes this year given the unemployment rate is at 4.1% and represents full employment. Meanwhile, Fed Governor Brainard said she expects inflation will hit the Fed's target this year, so she too supports multiple rate increases. The Comptroller of the Currency said he is "supportive" of leveraged lending by banks, providing they do so soundly and have enough capital. Banks sometimes will buy shared national credits (SNC) to augment direct loan origination. Interestingly, 2.68mm consumers reported fraud complaints in 2017 vs. 2.98mm in 2016. That said, the 2017 total amount of money lost was greater. Overall, the top complaint category was debt collections, followed by identity theft and imposter schemes. Legislation working through the Senate would make it easier for big banks to buy state and local municipal bonds by including such holdings in high quality liquid assets alongside cash, Treasuries and certain corporate debt.